A (Subjective) Top Five List. These past few years, interest in Formula One’s history has increased dramatically. Driven by documentary films and a modern return to turbocharged engines have fueled this interest. It would seem, however, that the light of nostalgia dims the farther back you reach. The front engine cars of the 1950’s, for example, remain all but forgotten in the era of computer-aided design. Long gone are the days when men handcrafted aluminum bodies based on intuition and inspiration. The Formula 1 world championship began in 1950. Cars, with the engine in the front, would be supreme only for the first eight years of the championship. 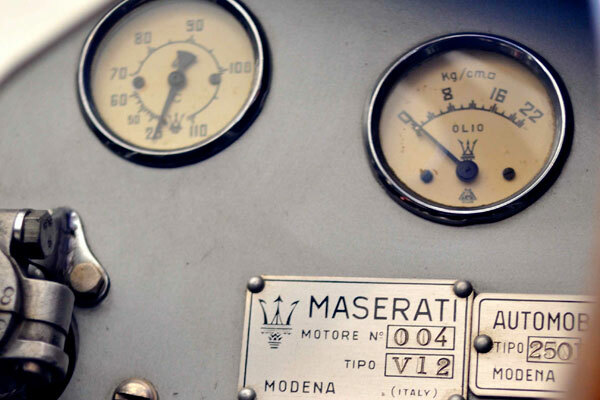 These eight short years enshrine some of the most elegant examples of machines dedicated purely to speed. In my last post, I wrote about the 1960 Italian Grand Prix. It was the last race ever to be won by a car with an engine in front of the driver. By 1960, even Enzo had come to realize that this design was an anachronism. The British lightweights, with the engine behind the driver, had already proved this. This entry, my one-hundredth post, is a tribute to the original era of F1 cars. To commemorate the death of the front-engine Grand Prix car, I have chosen to highlight five of the best. 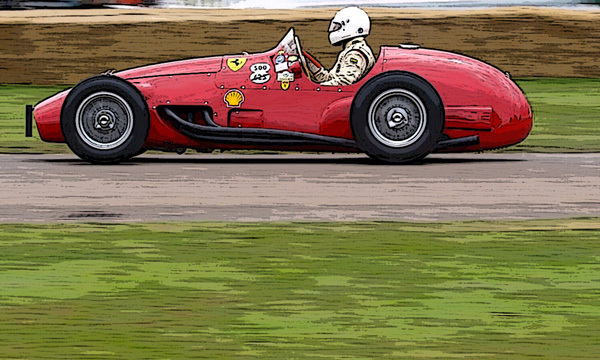 A Ferrari Tipo 500 F2 being run at a recent Goodwood. 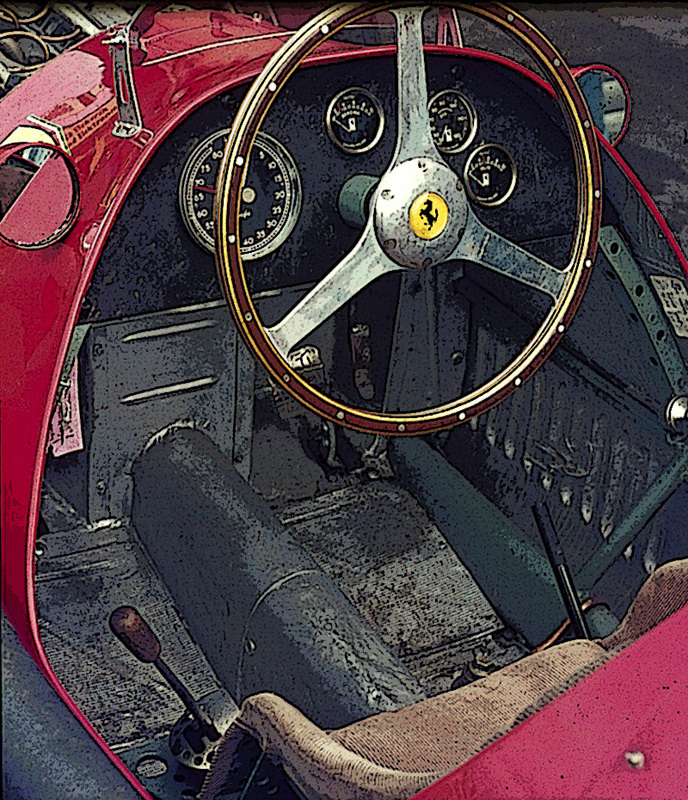 The cockpit of a Ferrari 500. A 2952 Ferrari Tipo 500 (F2). The Ferrari 500 was dominant in 1952 and 1953. It 1952, it won eight out of nine world championship races. The next year, it won all but two races. It was powered by an innovative four-banger designed by Aurelio Lampredi. Enzo Ferrari had been unsure, at first, about putting a four cylinder in one of his race cars. I’m sure he came around once he saw the wins rolling in. The car was races with by great names such as Ascari, Villoresi, Taruffi, and Farina. 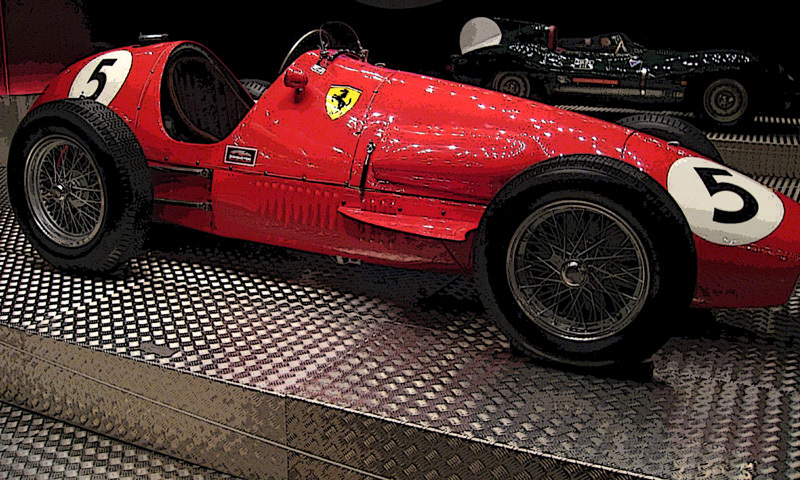 Although raced to F2 regulations, the Ferrari 500 is a striking example of early Grand Prix cars. A stripped down Alfa Romeo 159. A rather comfy looking interior. Seat-belts are conspicuously absent. The Alfa Romeo was the final set of itirations of the chassis that began life as the Alfa Romeo 158. This car makes the list for its durability, if nothing else. 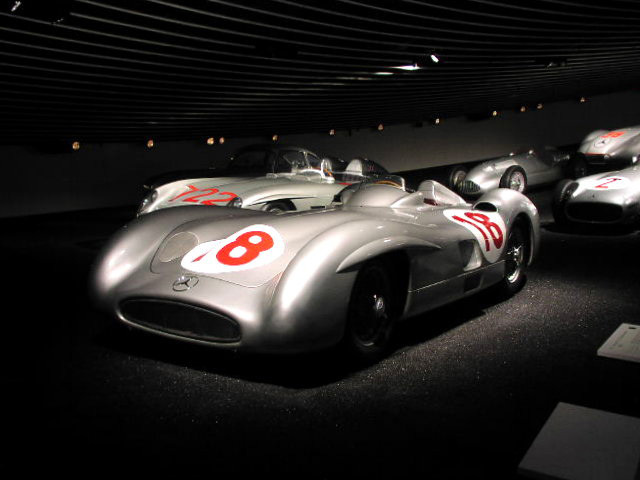 It was first designed in 1937 and raced nearly continuously until 1951. Enzo Ferrari played a minor hand in its development, as the Scuderia Ferrari was initially affiliated with Alfa Romeo, before Enzo began to design his own cars. Over its prolonged career, it won 47 of the 54 races in which a 158 or 159 competed. This was the car that Farina won the 1950 championship in and the same car that Fangio rocked to a title in 1951. 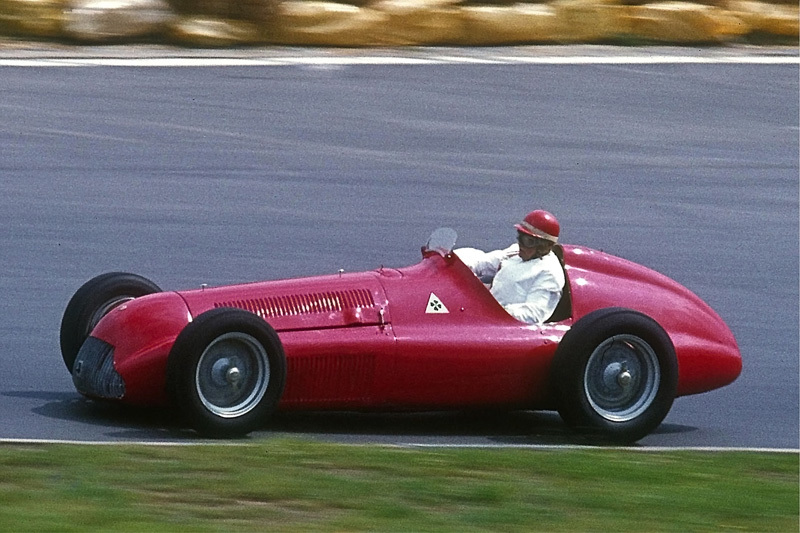 For its beauty, racing success, and sheer durability, the “Alfetta” (little Alfa) ranks fourth on my list of front-engined F1 World Championship cars. Alberto Ascari at the wheel of a Lancia D50. Sideview of a Lancia D50. 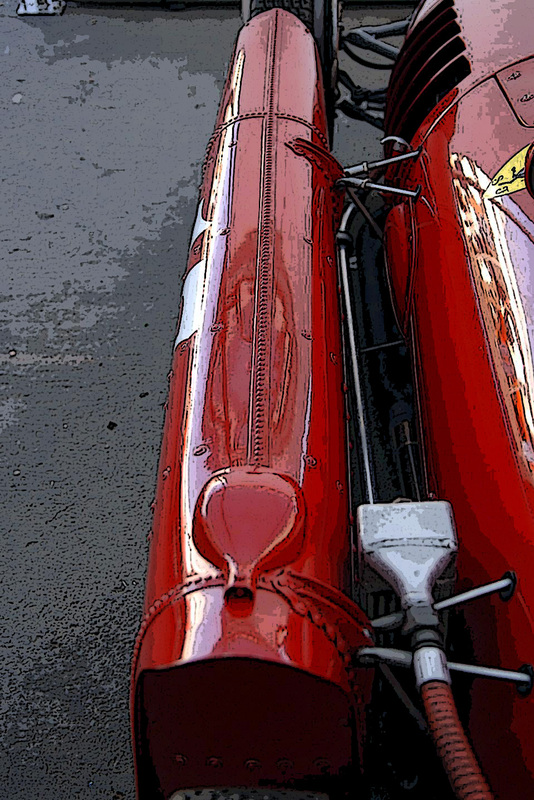 Closeup of the Lancia D50’s outboard fuel tanks. 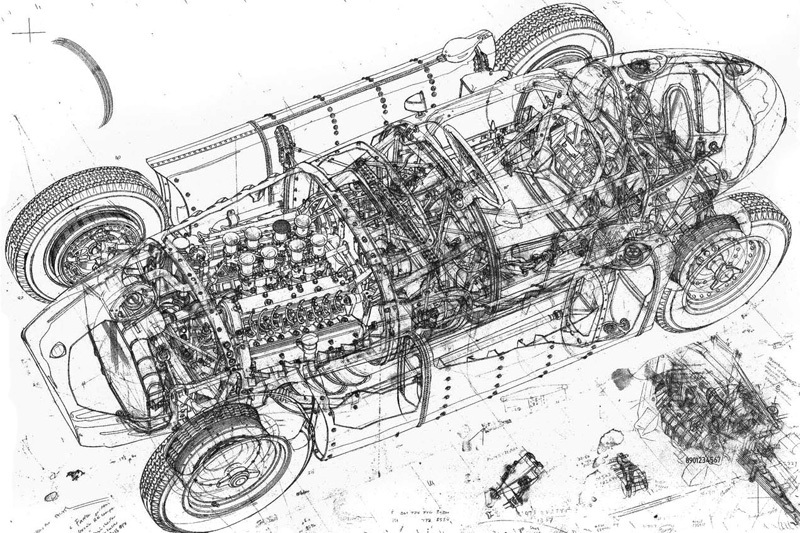 Beautiful cutaway drawing of the Lancia D50. This car makes the list for balancing innovation, modest success, and absurdity relatively equally. The Lancia D50 was introduced at the end of the 1954 season and featured outboard fuel tanks flanking the driver on either side. 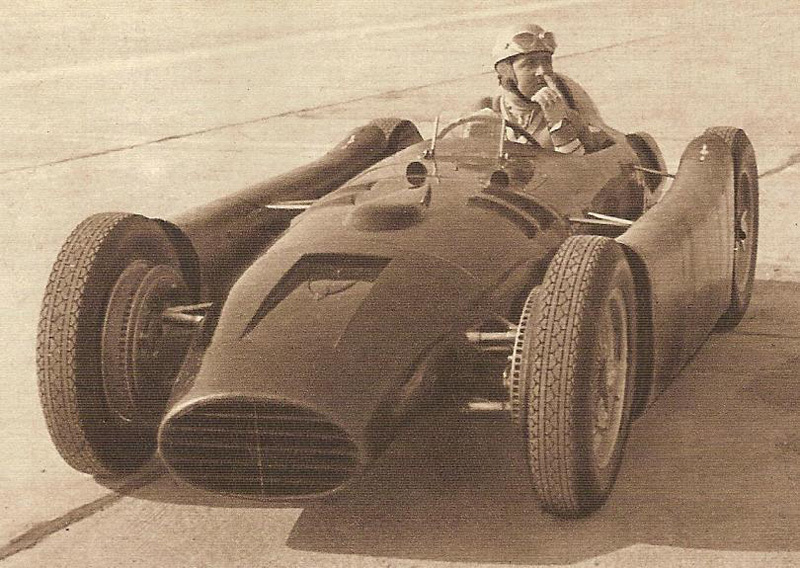 Vittario Jano, the designer of some great early grand prix cars including the Alfa Romeo P2 and P3, designed the car. 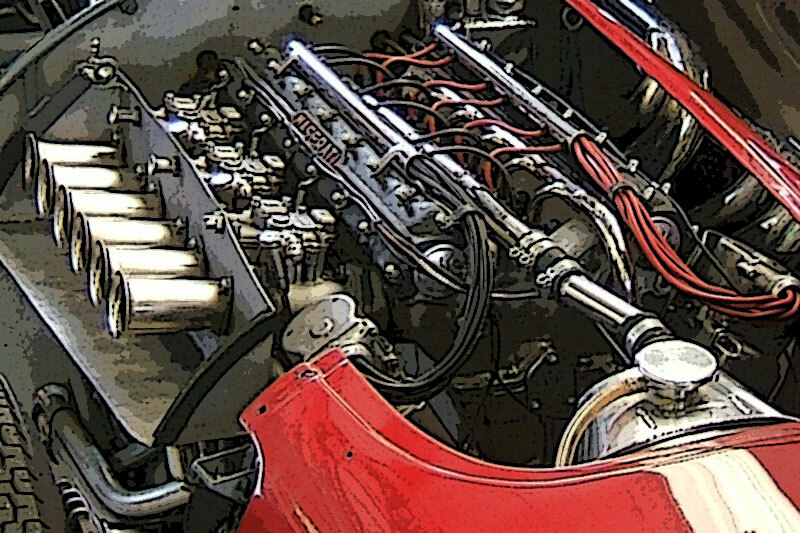 Jano’s engineering was so strong that, reportedly, the remnants of his engine architecture can still be found in Ferrari’s V8’s. Jano designed for each of the major Italian firms throughout his lengthy career. However, the Lancia D50’s career was short lived. Disillusioned by the dangers of racing following Ascari’s death and the Le Mans Disaster in 1955, Lancia withdrew. Thereafter, Ferrari bought the remaining stable of cars, stripped them of their most innovative designs and pressed them into action as Ferrari. 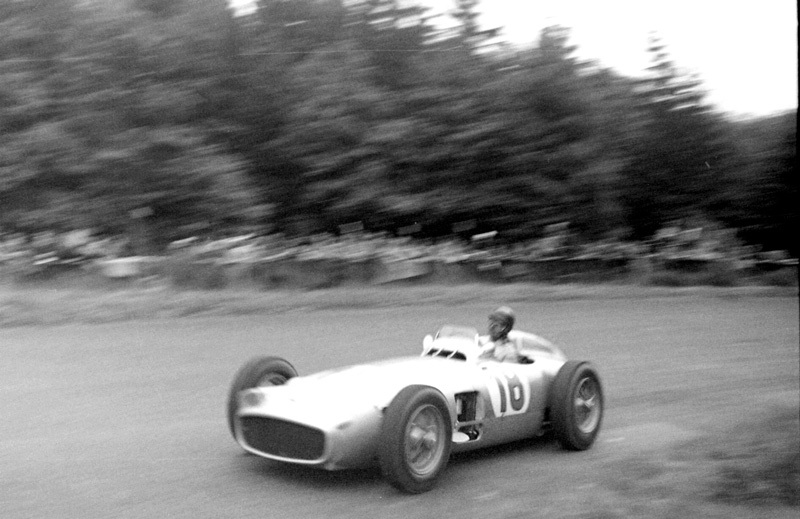 Fangio gripping the grain at the ‘ring in 1954. Dashboard of the MB W196R. Karl Kling driving a W196 at a promotional event in 1976. 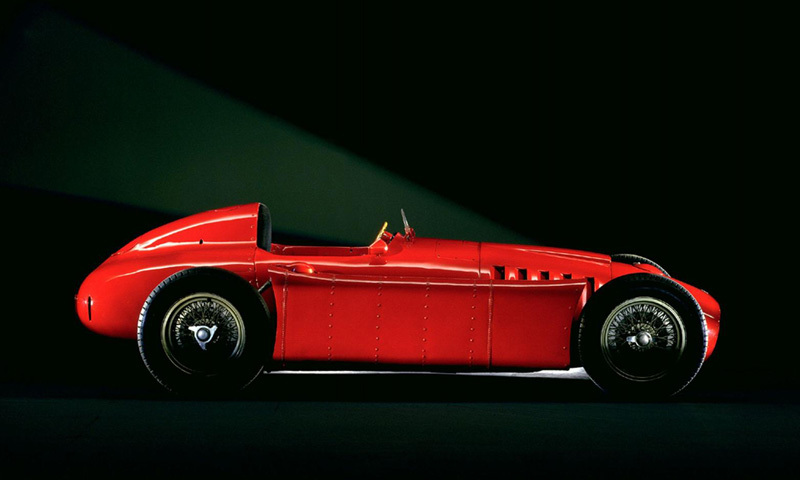 The W196 recently set records when one example, driven previously by Juan Manual Fangio, sold for $29.6 million. In 1954, this gorgeous car was utterly unstoppable. In spite of its success, Fangio and Moss both indicated that the car was difficult to drive as it was prone to snap oversteer. In my opinion, this may very well be the most elegant Formula 1 car ever raced in the world championship. But do not let it’s facade fool you, it was designed with the studied precision that Germany is often known for. It was this studied precision, headed by team manager Alfred Neubauer, which led the W196 to the world championship. 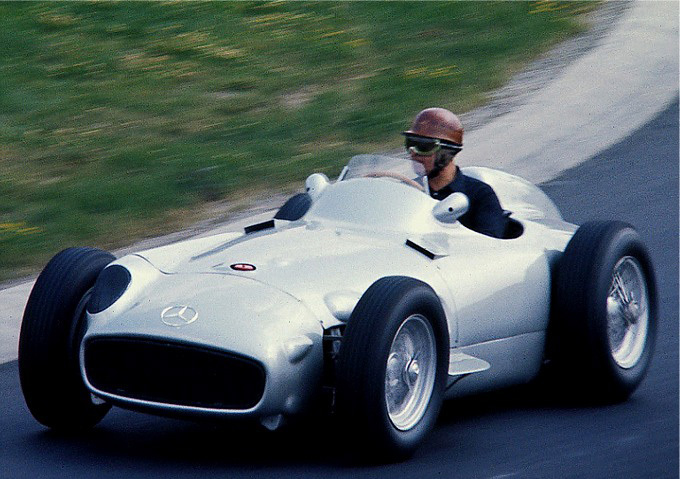 For example, the W196 was carted to the next track by a high-speed transporter. This often gave Mercedes an extra day of preparation before each race. Two bodies were created. One was designed for street fighting on tracks like Monaco. The other was designed to stretch its legs at high-speed tracks such as Reims and Monza. The high speed “Tipo Monza” featured wheels shrouded in handcrafted aluminum. Unfortunately, it produced more lift than downforce and was abandoned due to unpredictability at high speed. 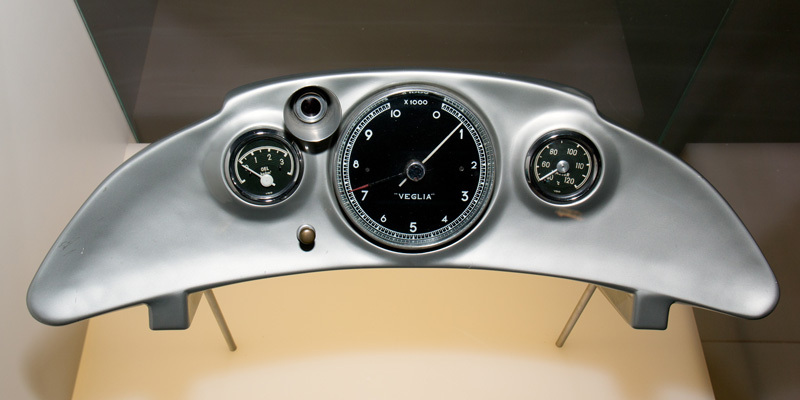 A closeup of the 250F dashboard. 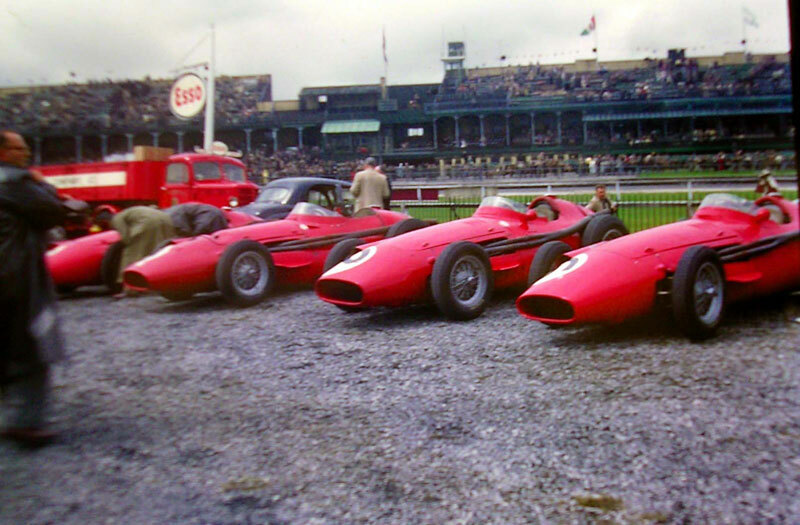 The factory Maserati cars at the 1957 British GP at Aintree. 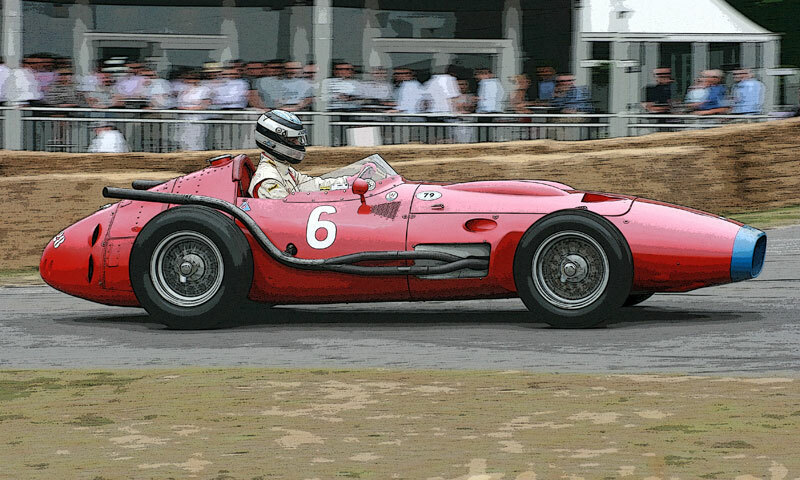 A Maserati 250F being run at Goodwood 2010. 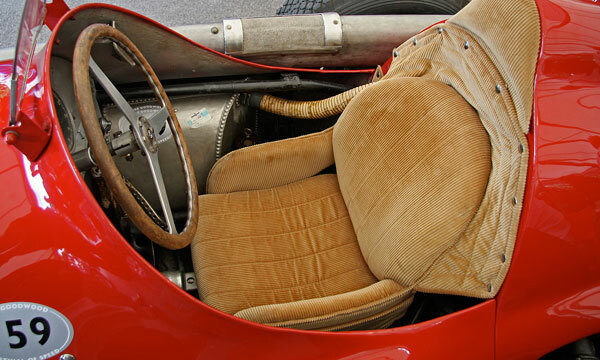 In any event, the Maserati—by all accounts—was a well-rounded grand prix car meant to be driven at 10/10ths around the famous European tracks. Stirling Moss even opined that it was one of the best cars that he had ever raced. Thanks for checking out the 100th post at GPevolved. It’s been a great learning experience for myself. Please subscribe to be apprised of future posts. The next post will wrap up the 1960 season. Then, on to the tumultuous 1961 season. 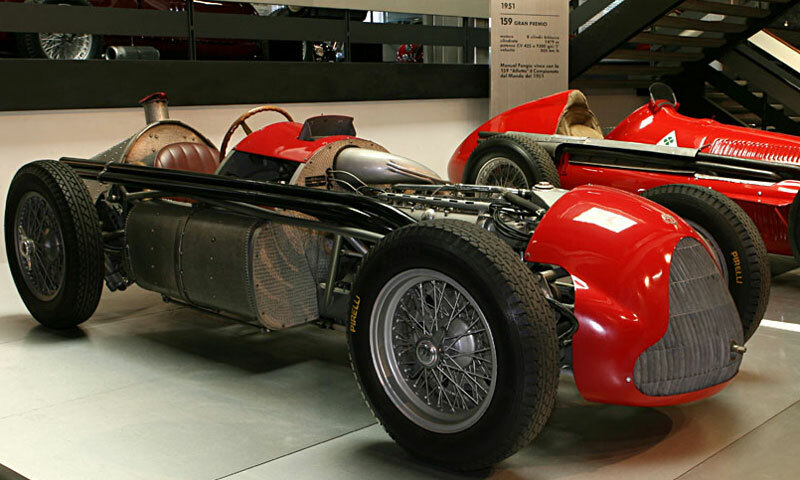 This entry was posted in 1960 and tagged Alberto Ascari, Alfa Romeo, Enzo Ferrari, Formula One, GPevolved.com, lancia d50, Maserati 250F, Mercedes Benz, Scuderia Ferrari. Bookmark the permalink. ← Controversy at the 1960 Italian GP.